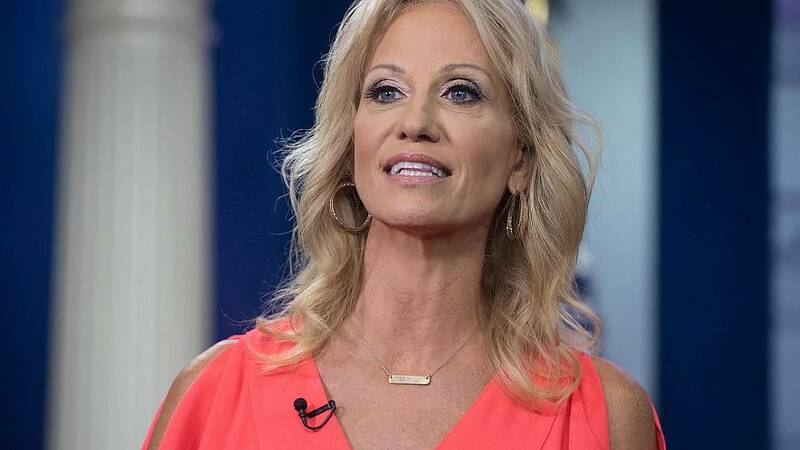 Senior White House adviser Kellyanne Conway said she was assaulted in a Maryland restaurant last year while her school-age daughter and daughter's friends were present. "Somebody was grabbing me from behind, grabbing my arms, and was shaking me to the point where I felt maybe somebody was hugging me," Conway said in a CNN interview that aired on Friday morning. "She was out of control. I don't even know how to explain her to you. She was just, her whole face was terror and anger. She was right here, and my daughter was right there. She ought to pay for that." Conway said she called 911 and that the woman will have to appear in court to address the incident soon. CNN reported that a woman, Mary Elizabeth Inabinett, was charged in November with second-degree assault and disorderly conduct. "What's necessary is for people to understand — in front of everybody but especially in front of 13-and 14-year-old girls — that you need to control your temper, control yourself," shetold the network. "I don't want it to become a thing. I just want it to become a teachable moment for everyone that this all has consequences." NBC News has reached out to Inabinett's attorney for comment. He denied the charge of assault to CNN.